For the first time in several months, I spent the weekend barely working on my dissertation and I wasn’t traveling. This meant running some annoying errands (man, I had to go to Target today…I hate that), but I also actually took some time to relax at home and do nothing. Doing nothing was everything I thought it would be. And yesterday, we spent the afternoon hangin’ out on the coast. September is summertime around these parts (after the fog, before the rain), and it was beautiful. 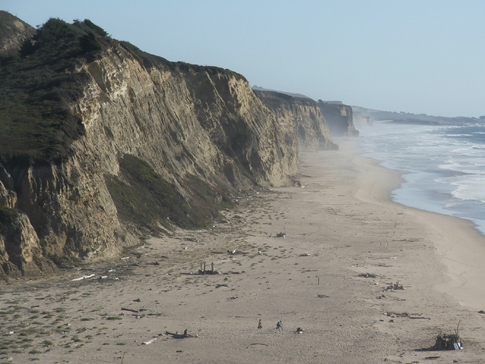 Below is a shot of San Gregorio beach. 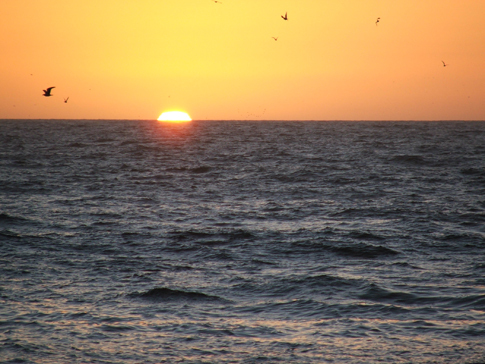 This next shot is sunset at Bean Hollow beach. Glorious. And, finally…here’s a little movie I shot on my digital camera. That vertical purplish line coming from the sun is kind of annoying…but, turn up your volume to get the sound of the waves…ahhhhh, relaxing. If the video is not embedded above, click here. I love San Gregorio Beach.